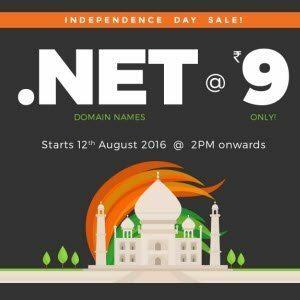 Bigrock Independence day sale, Own a .Net Domain at Rs. 9 only. Offer starts 2PM 12th Aug 2016. How to get .net domain at Rs. 9?